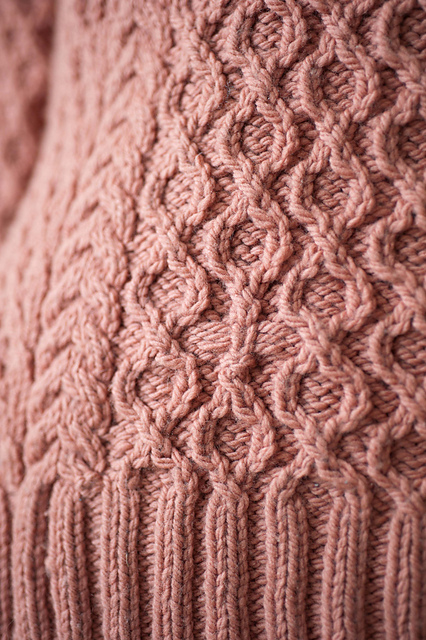 I'm pleased to announce the release of Honeymaker, my newest design for Quince & Co. A feminine take on the traditional aran sweater, with a bee-inspired twist, the Honeymaker pullover features stitch patterns inspired by netting, hives, and, of course, the honeycomb. It also comes with directions to include an optional bee inset into your honeycomb, if you like. 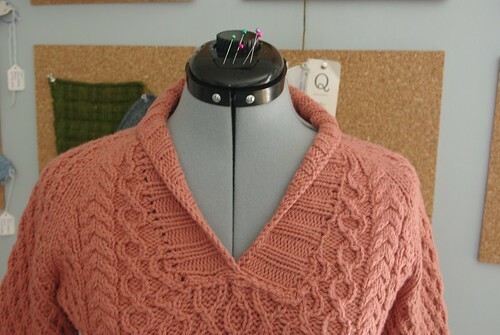 The cables really pop when knit in Quince's Osprey aran-weight yarn, particularly in the less saturated shades, like the faded brick-colored Clay used here. The collar can be worn popped for a face framing effect, or folded for a more-traditional shawl-collar look. 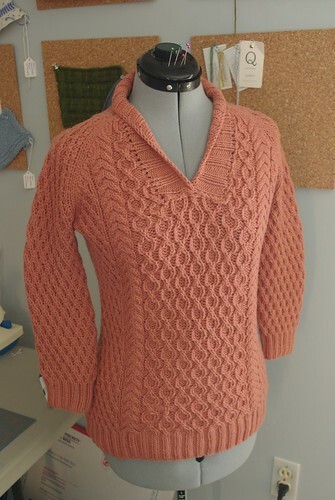 The pattern is available for download for $6 USD from the the shop or you can queue it up on Ravelry.